Artsana is a family business established in 1946 in Grandate, by the Lake Como side, in Northern Italy, by Pietro Catelli. 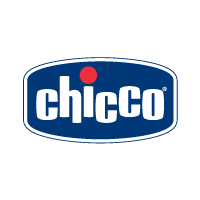 The company began to grow quickly and in 1958 it marked the beginning of the trademark Chicco, which became synonymous of child care in Italian households. This once small family concern has now become a multinational Group which operates all around the world, with over 7000 employees, 25 branches plus a network of agents and distributors located in over 100 different countries. Happiness is a journey that starts when you’re a baby and making a baby smile is the most extraordinary job ever, according to us. We really think it is still the best one in the world and we feel lucky because we spend our time thinking how we can make babies happy. So everything we have in mind is created with one specific purpose: entering a home, meeting a baby and making him happy. Nothing is more important for us than this. Because we know that we will be rewarded with the most extraordinary gift ever. The smile of a baby.